"Did you know one of the Lake Garda parks is considered to be in the world's top five? The kids will love the zoo and dinosaur parks too!" The are plenty of Lake Garda parks for those who enjoy a wander around wonderful places full of trees, flowers and other colourful plants. Some are in spectacular locations too, like on an island in the lake. For the children, the zoo/safari park and dinosaur park will be a lot of fun. 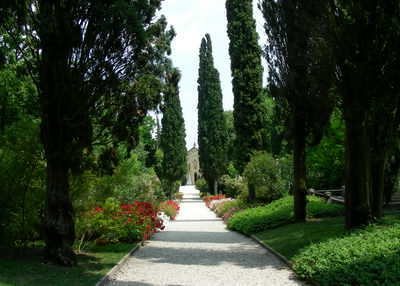 These huge, stunning gardens, situated just 5 miles south of Peschiera, are considered to be in the top five in the world! Nearly 400 years old, the park covers a huge area of 560,000 square meters (more than enough to keep you busy for a day!). The gardens are based around 5 flowering periods and there will be different plants to look at depending on when you come here. It contains a huge variety of plantlife, including more than 40,000 bushes, ponds with tropical fish, herb garden, and a great lawn. This is the biggest of all the Lake Garda parks in terms of land area. It is open from 10th March to the 4th November in 2007. Opening times are normally 9am to 6pm and costs 9 euros for adults and 6 euros for kids. 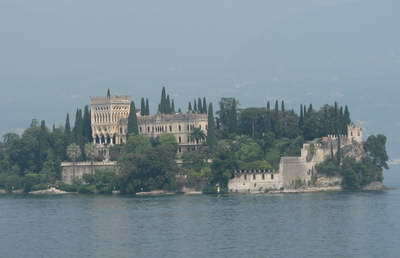 Isola del Garda is the largest island in Lake Garda and is not far from the coast at Manerba and San Felice. On this charming island is a stunning villa which was built by a wealthy family over a hundred years ago. Beautiful gardens were created to compliment this fantastic spot. It has an abundance of trees and shrubs, all perfectly manicured into a fairytale-like scene. Only recently open to the public, this really is a garden with a difference! This is a small but beautiful botanical garden found on a terraced hillside in Gardone. It has over 2000 species of plants from all over the world. The first time you go to Riva, at the top of the lake, you'll probably think that this large town is very busy with little space. You'll be surprised, therefore, if you walk to the lakeside and go towards the east, as you'll come across some lovely public gardens going right down to the beach. Here you feel a world away from the hustle and bustle of Lake Garda's second largest town. It's a wonderful and beautiful place to relax! See more on the Riva page. 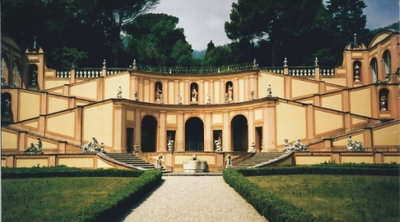 1) Parco Faunistico (Fauna park) - This part has around 200 animals from all over the world. It's also involved in the conservation of rare plants which are in danger of becoming extinct. 2) Safari park - This part can only be visited in a car or bus. A nearly 5 mile long route winds you through a large area of land and allows you to view many animals, especially from the Savannah area. Great for kids. 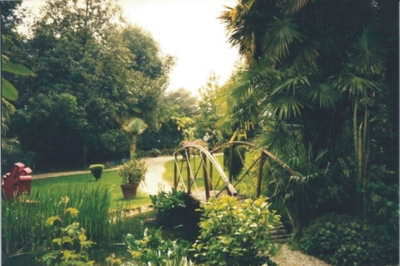 3) Botanical route - This has a huge variety of plants, from local ones to tropical plants kept in the greenhouse. Located in the landscaped hillside. 4) Dinosaur park - This is located in the Fauna park and has life sized models of lots of dinosaurs. Kids will love this.